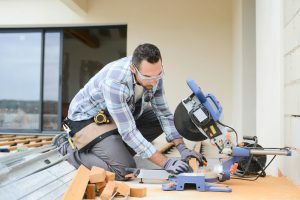 If you are thinking about going with a new home construction builder in Edmonds, there are several things that you need to consider. This is a major step and one of the biggest investments that you will make in your lifetime, so you need to weigh every decision carefully. Schleg Valley Construction would like to give you some insight on what you need to look for when researching a home builder in your local area. Always be sure that you can research as much as you can about the new home construction builder. This means looking to see what other clients have to say and double checking to be sure that there are no complaints on the books with the reporting agencies. Such a step helps you to be sure that you are going with a reputable company with a rich history in the home building field. Talk with some of the local real estate agents to see if there is a good reputation that is following the home builder in the community. Ask for references and be sure to follow through. This will mean looking at some of the homes that the builder has constructed previously, asking any of the occupants what they have to say about the craftsmanship of their home. Check for resale values on the homes that the builder has completed. When the resale values are on point, you will know you have a great builder on your side for your own project. At Schleg Valley Construction, we work hard to ensure that we meet up with all of these requirements and then some. We have a solid reputation in and around the Edmonds area and have worked with many clients on every aspect of the home building process. When you are looking for a new home construction builder in Edmonds, call Schleg Valley Construction first at (425)312-6750 for a detailed estimate. At Schleg Valley Construction LLC, we are always able to offer you affordable pricing along with quality, professional work. From septic tank installation and repairs to sewer line replacement and a variety of general contracting projects, we have the expertise, skill and manpower to tackle any job that you bring to us.